Issue no. 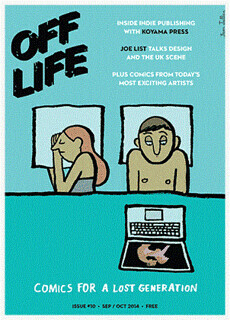 10 of Off Life: Comics for a Lost Generation features an illustrated cover by Jean Jullien and includes a smattering of comics from ‘emerging artists’ such as Amy Pearson, Kristyna Baczynski and Joe Deci. As always, Off Life (distributed free in London and Bristol, or as a PDF online) combines several comic styles and narrative approaches – Pearson’s ‘Lucky’ comic tackles public groping, Baczynski’s anthropomorphised fox character develops an itch that consumes him and Deci’s ‘These Cans’ is a series of India ink studies of a can of fortified milk accompanied by an anecdote. The issue also includes an interview with Koyama Press and cartoonist Joe List. 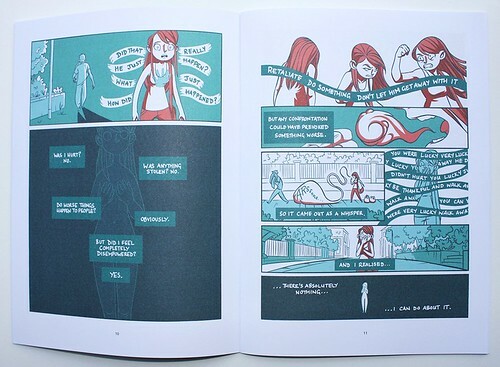 Spread from Off Life showing Amy Pearson’s limited-pallete comic ‘Lucky’ follows one woman’s response to being publicly groped by a strange man. Top: The Comedy Carpet, Blackpool, under construction in 2010, measures 2200m² and contains more than 160,000 granite letters embedded into concrete. Cover of Off Life no. 10, illustrated by Jean Jullien. Eye’s next Type Tuesday event, on Tue 2 December at St Bride Library in London, is themed ‘Comedy and Kemistry’ and will feature speakers Andy Altmann of Why Not Associates and Graham McCallum of Kemistry Gallery. Altmann will give a talk entitled ‘Knickers knackers knockers – 27 years of type and humour’, touching on work such as the celebrated Comedy Carpet in Blackpool and McCallum will talk about the Shoreditch graphic arts gallery’s past decade and its campaign to find a new home (see Kemistry Gallery’s Kickstarter campaign, which hit its £15,000 target last Wednesday evening). 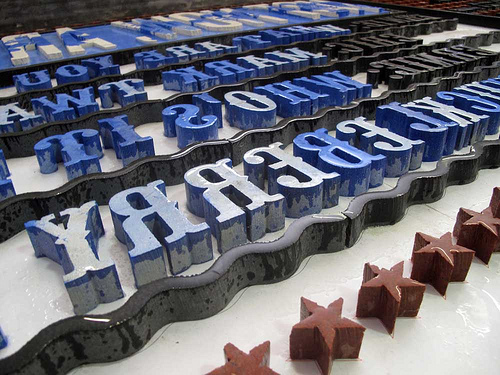 Book your tickets to Type Tuesday on Eventbrite. The Comedy Carpet in Blackpool, a collaboration between Why Not Associates and sculptor Gordon Young, is an enormous open-air installation packed with famous British jokes. Aglu publishes pocket-sized photobooks for £5 featuring work by photographers such as Wypke Jannette Walen, Adam Geary, Sebastian Klug, Laura Noel and Simon Jones, among others. Each explores different themes and approaches to photography – Berlinoir, about Berlin night life, Ghost Ships, ‘a metaphor to reveal the underlying narratives of the everyday surfaces and materials of the home’, and Poem as an Object, which takes a poem by Gerrit Kouwenaar as inspiration. Collection of Aglu pocket-sized photobooks. Spread from Wypke Janette Walen’s Poem as an Object (Aglu, £5). 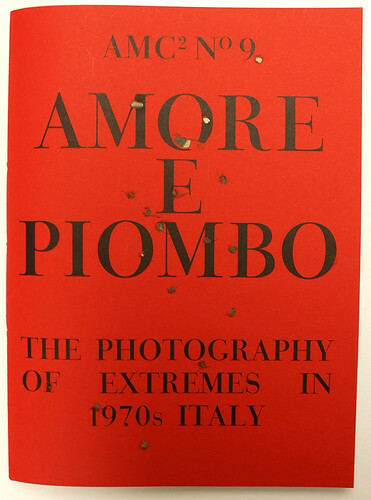 The latest edition of AMC2 is Amore E Piombo: The Photography of Extremes in 1970s Italy, an unsettling photobook that takes us back to the ‘years of lead’ (from the late 1960s to the early 80s) as those deadly days of extremist violence are known in Italy. 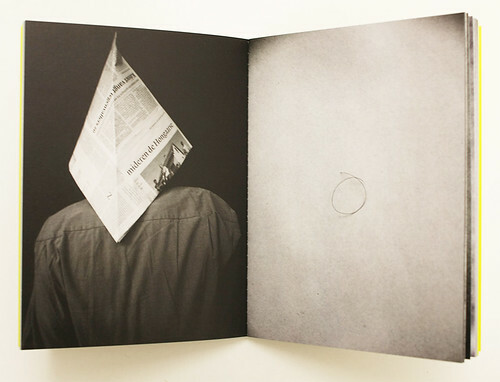 To emphasise the context, the saddle-stiched cover of each copy is pierced by narrow-bore bullet holes. Cover of AMC2 No 9, Amore E Piombo: The Photography of Extremes in 1970s Italy. Design by Melanie Mues. 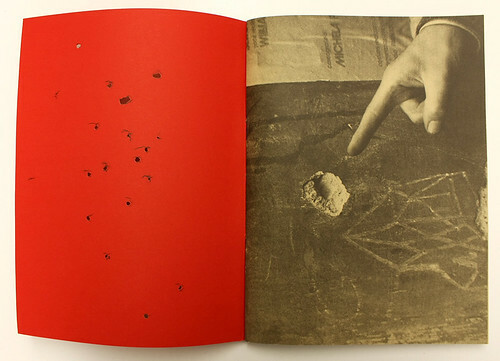 Opening spread showing Bullethole, Rome, 1970s. Spread showing Carabiniere holding a file of wiretaps during a trial, 1970s (left) and Striptease, 1970s (right). Spread showing actors Ninetto Davoli and Franco Citti with director Pier Paolo Pasolini in actors’ football team, 1970s (left) and fans celebrating Italy beating West Germany in the 1970 World Cup semi-finals, Rome (right). 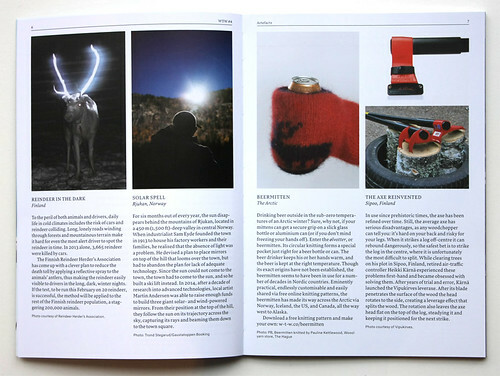 The magazine Works That Work, edited and published by designer Peter Bil’ak (see Reputations in Eye 75), while small in size, incorporates some fascinating features about design creativity in unexpected places. The fourth issue, themed ‘Extreme Environments’, includes articles on topics such as the Liter of Light project – a solar powered lighting that uses LED and a mixture of water and bleach – which gives hope to economically disadvantaged communities. Also featured is a piece on the adaptability of the Sarajevan people, repurposing design for basic survival during the longest siege in modern warfare (1992-96). ‘Branding the World’s Newest Country’ is about the newly independent nation of South Sudan. 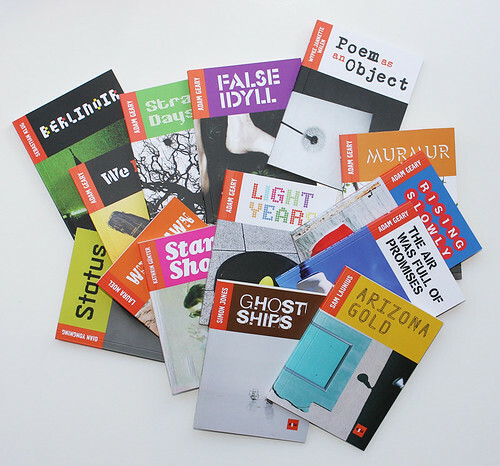 Works That Work relies on close relationships with their readers and direct partnership with local bookstores, hoping to inspire sharing of the publication around the world. Spread from ‘Artefacts’, collected by Anne Miltenburg (who interviewed Irma Boom for Eye 88) in Peter Biľak’s Works That Work 04 on the ingenious designs of Arctic Circle inhabitants. 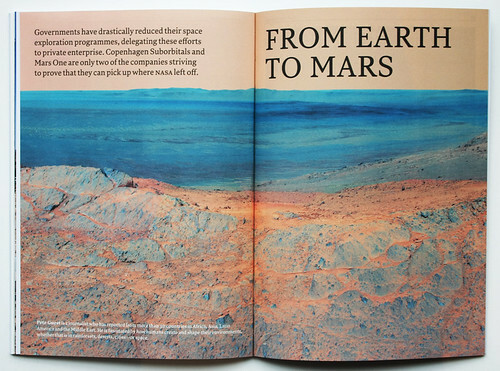 Spread from Peter Biľak’s Works That Work 04 about continuing the mission of NASA’s space exploration programmes. 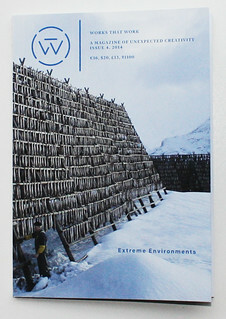 Cover of Works That Work showing a Norwegian hjell, used to dry cod.